Ron Frisbie has rare Marconi wireless communications apparatus as part of a collection he displays in a museum at his home in Akron, Pennsylvania. I telephoned Ron to speak with him about the museum, and I learned that he opened it more than 10 years ago. He specializes in early wireless and battery sets. So far as I know, Ron’s museum is mostly unknown to other Club members. I’m delighted to have the opportunity to let you in on what seems to be a little bit of a secret. At least, I didn’t find published information about the museum anywhere I looked on the web. Ron has been an RCA member since 1988, and he was elevated to Fellow in 1995. He received the Ralph Batcher Memorial Award in 2006. Ron is vice president of the Antique Wireless Association. Lets have a look at the Frisbie Museum, owned and operated by RCA member Ronald E. Frisbie in Akron, Pennsylvania. Ron opened the museum in 1993. Ron has been involved in the telephone business for 60 years. He still is a member of the board of directors at the telephone company from which he retired in 1992, and he serves on three of its committees. He told me he serves on two advisory boards at a nearby university, too. In service to a scholarship fund, he administers a program that draws as many as 300 applications annually that he has to evaluate. Ron also plays in a Glenn Miller-style band. The band played two engagements the Friday and Saturday before I had my longest talk with him about his museum. On top of this, his museum has a steady parade of visitors, from individuals to school groups. Im telling you this so youll understand why Im not including more photos of the museum. Ron doesnt have time to take many photos. He took a few snapshots, and I thank him for it. Im including several photos Ron sent, a picture of Al Grebe that was taken when he visited the museum, and photos that Max de Henseler sent me. That’s the best we can do until perhaps you visit the museum and take some pictures to send me. Alfred H. Grebe Jr., an RCA member since 1953 who lives in Richmond, Virginia, visited Rons museum, and I talked with him about it. It’s very nice, a two-story affair, built in his back yard especially as a radio antique museum, Al said. Als father was in the radio manufacturing business. The Radio Club gives an award named the Alfred H. Grebe Memorial Award in recognition of excellence in manufacturing. 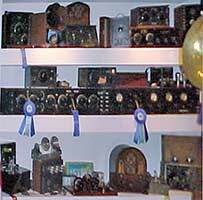 Al said that Ron has several Grebe radios in his museum. I asked Al what impressed him about Rons museum. Its very well organized. Its a fantastic thing for a man to do on his own. It must have cost a few dollars to have that museum built. He had run out of room for everything he was collecting, and he decided he had better get rid of it or build a museum for it, Al said. Now lets hear from Ron himself. Here is some of a conversation I had with him in 2006. Ron was generous with his time twice, first for the interview, and second to review my transcript and make extensive handwritten notations. Nevertheless, the responsibility for any errors is mine, not Ron’s, and not the Club’s. What is your earliest memory involving radio? I was born in 1922. At age 3, I remember my father building a one-tube radio set. He put the earphones on my ears and wanted me to listen to the music. 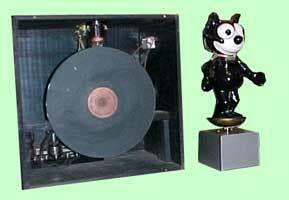 In 1931 at age 9, I built my own one-tube radio. I experienced the same thrill that my father had back in 1925 when I picked up WOWO in Ft. Wayne, Indiana. What part of radio interests you? I was always interested in the technical aspects of radio — building them, repairing them and listening to shortwave. In 1942, after nearly completing two years of college, I enlisted in the Army. I agreed to have all my radio gear taken to the attic because my grandmother was coming to live with us and would take over my bedroom. When I returned home in 1946, not only was grandmother gone, but my radios were gone as well because my folks had decided to clean out the attic. For a short time after returning home from WWII, I had my own garage where I did engine overhauling. Besides radio, I had always liked old cars. At age 13, I purchased a 1928 Model T Ford for $4. This interest continues even today, with a 1928 Model A and a ’59 TR3 and parallels my interest in radio. In 1947, I started working for a telephone company in the Scranton area of Pennsylvania. In 1953, I was employed by the Denver and Ephrata Telephone Company (D&E) in a management position. In 1973 I was named vice president of operations, and in 1992 I retired as vice president, secretary, treasurer and assistant of the president. How did you start collecting radios? We live in the flea market capital of the USA, and on a Sunday afternoon in December 1979, my wife Jan and I were visiting one of the larger flea markets near home when she asked, “Ron, what do you want for Christmas?” At the same time, I spotted a 1925, 5-tube, battery-operated radio like I had back in the late 1930s. In a second, all of my interest in radio returned, and the rest is history. Each Sunday thereafter would find me at 4 a.m. with a flashlight in hand, looking for radios at every flea market in the area. This went on until I had accumulated 2,000 sets. Many of the more valuable and rarer sets were purchased from collectors who were more interested in the money they could make by selling their prized possessions. 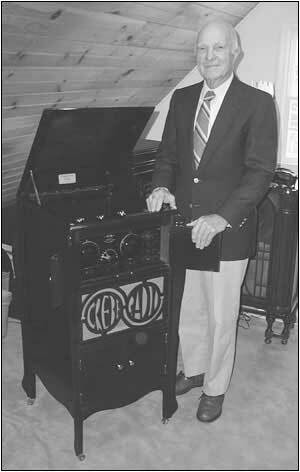 Perhaps the most rewarding aspect of this great hobby is the many friendships that have been made through association: the late Mel Comer, who convinced me that I should collect only the finest and the very early wireless equipment; Dr. Max de Henseler (RCA), who introduced me to Marconi’s daughter Gioia Marconi Braga; James Kreuzer (RCA), a world renowned Marconi authority who made it possible for me to find much of my Marconi equipment; the late Bruce Kelley (RCA), founder of the Antique Wireless Association (AWA); the late Dr. Ralph Muchow (RCA); and Al Grebe Jr., son of the late Alfred H. Grebe, who manufactured some of the first radios ever made. When did you build your museum? Jan and I built most of the building by ourselves. It was her idea because the radios had taken over every room in our home. We started it in 1991 and completed it in 1992. 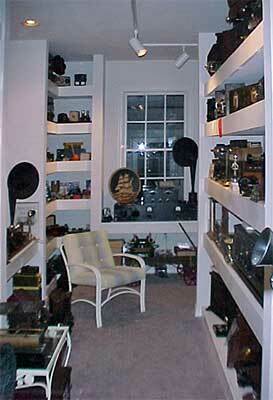 One corner of my museum is set up like the radio room of the RMS Titanic. A mannequin is seated at a desk, dressed like a Marconi wireless operator with his right hand on a key. this display of course is the main attraction in the museum and is the reason we have had visitors from all over the United States and several from Europe and even Japan. Where do you keep the rest of the radios? Until recently I had more than 500 stored in a warehouse for about 10 years. I was notified I had to vacate within 30 days. As a result, I found someone who would purchase the whole lot. Besides these, there are about 40 in our attic, 200 in our recreation room, 30 in our son’s garage, and about another 100 in a storage area about a mile away. When do you open your museum? It’s open usually by appointment or by a knock on the door. We have many school groups, service clubs and dignitaries that visit all year long. Ron’s son designed the shelving that displays radios in the museum. 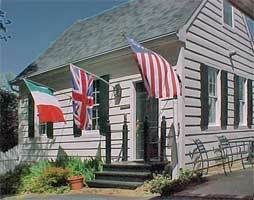 What is it like, operating a small museum? Sometimes my wife gets a little frustrated because well be having dinner, and someone knocks on the door to see the museum. Or maybe well have something planned for a weekend, and I say I cant go because a group is coming through. I drop whatever Im doing to accommodate those who want to see the museum. Its only 24 feet by 22 feet, two stories. I have a son who is an architect, and he designed the layout of the shelves. Everyone says its marvelous, and he deserves the credit for the layout. I have a mix of old and new radios. Most of the radios are older than 1924, but there are a few that date in the 1940s. The collection includes the following: 19 Atwater Kent breadboards, Amrads, Adams-Morgan, A-C Dayton, American Bosch, Arborphone, Bremer-Tully, Browning-Drake, Brunswick, Case, Chelsea, Chicago Lab, Clapp-Eastham, Colonial, Cotocoil, Crosley, Cutting & Washington, Dayfan, de Forest, Eagle, Echophone, Emerson, Erla, Eveready, Fada, Farnsworth, Federal, Freed-Eisemann, Freshman, General Electric, Garod, General Radio, Gilfilan, Grebe, Grunow, Hazeltine, homebrews, Kellogg, Kennedy, King, Kolster, Magnavox, Majestic, Michigan, Mohawk, Montgomery Ward, Murad, Murdock, Paragon, Pennsylvania Wireless, Philco, Reiss, RCA, Radak, Radio Shop, Splitdorf, Stromberg Carlson, Thermodyne, Thompson, Tri-City, Tuska, Valley Tone, Ware, Western Coil, Westinghouse, Workrite and Zenith. Most of my interest lies with the very early radios. The Marconi set is 100 years old. It was made in London in 1907. 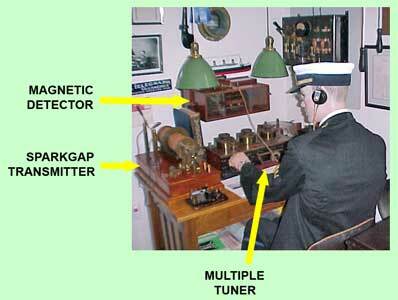 Most of the radios in the display for the Titanic were made in 1906 or 1907. 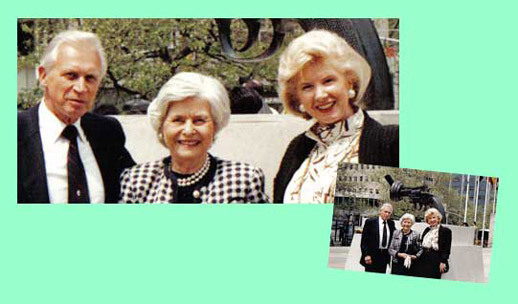 Ron Frisbie, left, and Max de Henseler’s wife Renate, right, with Gioia Marconi Braga, the younger daughter of Guglielmo Marconi and his first wife, Beatrice O’Brien Marconi. Max took this picture in 1985 in front of the United Nations in New York. Behind the three is the ‘knotted gun sculpture’ titled ‘Non-violence.’ Made by Carl Fredrik Reuterswaerd, the sculpture was given to the UN by Luxembourg. And that’s our visit to the Frisbie Museum. If you have the opportunity to see it someday, remember to take photos, and send copies to me, won’t you?